The Geneva International Motor Show just got underway in Europe, which means a flood of new car reveals. Audi showed off a smaller e-tron sedan and some plug-in hybrids; we're still waiting to find out which—if any—are coming to the US. There were a bunch of hand-built hypercars, some from companies you've heard of and some you haven't. Volkswagen had the new I.D. Buggy we showed you yesterday. And then there's the Mercedes-Benz Concept EQV. It's the latest all-electric EQ concept from the automaker. Some of these cars, like the Smart Vision EQ or the Vision EQ Silver Arrow will remain one-off, corporate flights of fancy. But others are headed to production. Later this year, the EQC battery electric vehicle goes into production, with US sales starting in 2020. Some time around then, the EQV electric van will also go into volume production. 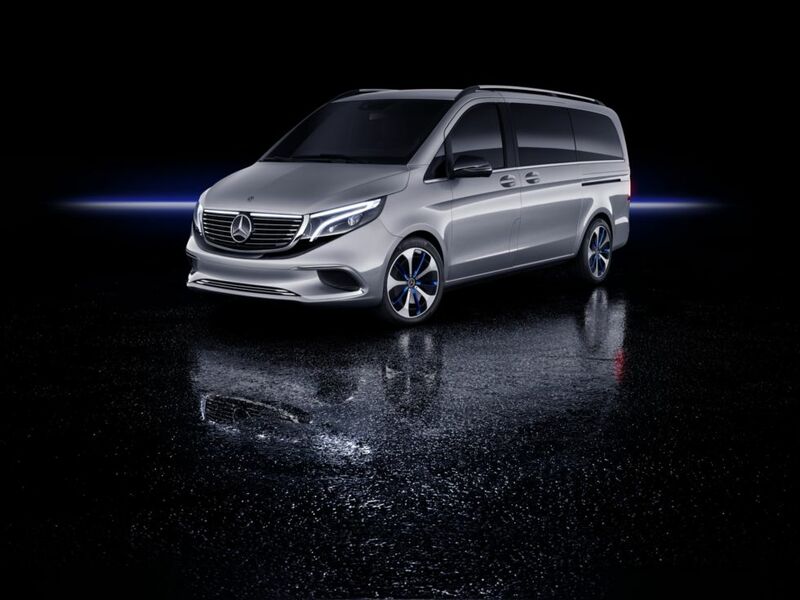 "Mercedes-Benz Vans is consistently advancing the electrification of its product portfolio. With the Concept EQV, we are now taking the next step. The concept offers all of the brand-typical attributes from this segment that Mercedes-Benz customers have come to know, appreciate and accept. From a daily driver for the family, a leisure-time adventurer or a shuttle vehicle with lounge ambience, the combination of these characteristics with a battery-electric drive mean the Concept EQV is a concept car with a future. We are particularly excited that we will soon be able to offer a series-production model on the basis of this concept," explains Wilfried Porth, member of the Daimler AG board of management for human resources and director of labor relations at Mercedes-Benz Vans.